Hard fighting Deschutes River steelhead caught while fishing with the Water Time Outfitters guides. 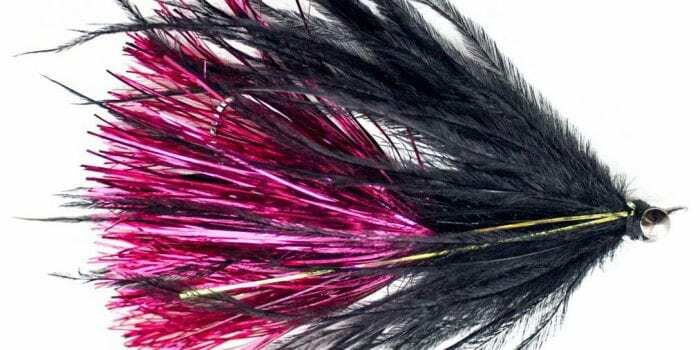 Fly fishing for summer steelhead is one of my favorite fisheries and the NW has so many great places to go; here are five tip tips to help you be more successful swinging flies for steelhead during the hot months of the year. 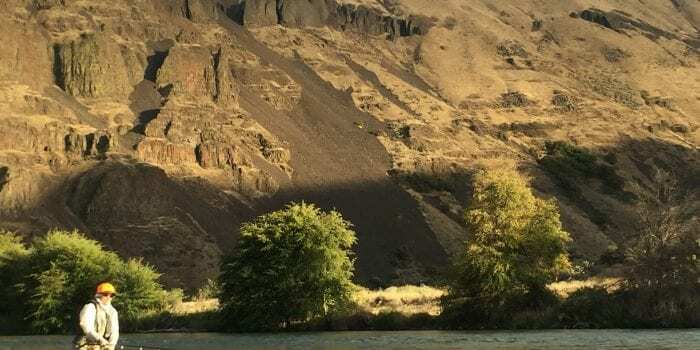 Favorite fly fishing hot spots of summer and fall are: the Deschutes River, Grande Rhonde, Klickitat River, Cowlitz River , Snake and the Clearwater River. Wherever you choose to chase summer runs these five tips can add up to success! Fish early and fish late. The best time of day is when the water is shaded, that can mean either early in the day or late afternoon right up to dark. I love to start at the crack of dawn; this is a special time of day as blacks and greys start to reveal colors and definition with the rising sun. 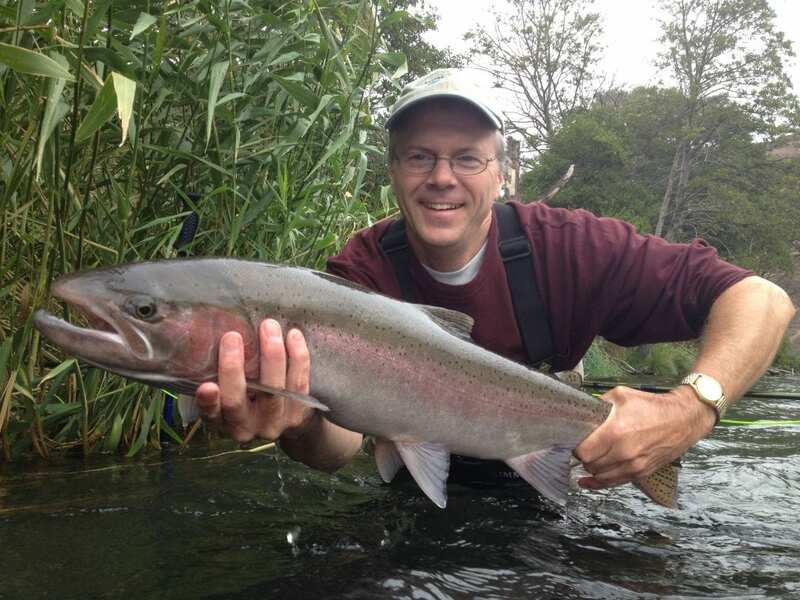 Steelhead are early to rise and often it’s that first fly into the water that gets the grab. I’ve also seen fish caught long after many anglers have gone home! Fishing into the darkness remember that your fly is silhouetted against the sky and stands out to fish in the water looking up. Keep Moving, consistently moving through the run is one of the best ways to find aggressive summer steelhead. During the summer and fall water temps are perfect for steelhead to be very aggressive. That means that if they want your fly- your gonna know it! Moving through the run is the best way to find these fish. Try moving down 5-6 feet between each cast (with good visibility in the water). I’d rather move through the run 2x’s quickly than once slowly. Manage your swing for best success. Many anglers this time of year get lost in the beauty of the canyon surroundings and simply throw out their fly and hang on. What I’ve found is that anglers who manage their swing catch more fish. What does “manage your swing” mean? Simply adjusting and controlling the speed of the fly as it moves across to maintain a smooth even swing speed. Often that means slowing the fly down at the beginning of the swing and speeding it up towards the end of the swing. This is done by adjusting the angle of the fly line to the current by mending or simply moving the rod to allow for more or less angle. Keep your hooks sharp! There is an old saying, “dull hooks make for good stories and sharp hooks make for good photos.” Do you want to be telling your buddies about the one that got away or showing them a photo of your catch? Test the sharpness of your fly on your thumbnail, if the hook slides it is dull; if it sticks then it is sharp enough. Feel the grab but don’t over react! When you cast, swing, step through the run over and over for what seems like miles of water and then all of a sudden- LIGHTNING STRIKES and your rod is JOLTED line rips off and… how you react at this moment is critical. Often times anglers over-react and pull the fly right out of the fish’s mouth. Keep a moderately light drag and don’t touch the line, let line pull off the reel and feel the heaviness of the fish solidly on the line before you react. When you do your movement is smooth, not yanking, simply put a bend in the rod towards the bank. Next article	Get Started Fly Fishing- Three Tips to get you Going!